Andrew St. Clair Marshall was born on January 15, 1982, in the Parish of St. Andrew, Jamaica, the second of three children to Alfonso and Jacqueline Marshall (nee Ninvalle). His father is a Civil Engineer, and his mother, an Artist. He attended Kingsway High School in Kingston, and started piano lessons privately at age 6 with Maureen Coombs. He later attended St. Jago High School in Spanish Town, St. Catherine, where he entered the Jamaica Cultural Development Commission (JCDC) competition in piano and achieved gold and silver medals. In his last two years, he became musically active in the school band playing steel pan and keyboard, and singing in and directing a male quartet. At age 14, he and elder brother Geoffrey co-founded a youth choir (Hearts in Harmony) comprising his peers at his church, the Trench Town Seventh-day Adventist Church. Andrew served as the choir director for six years. During its existence the group was invited to perform around Jamaica in religious and civic capacities. Also at age 14, he was invited to serve as music director and accompanist for the non-profit organization, Maranatha Ministries, a musical and dramatic ensemble specializing in religious productions directed by his mother. In this capacity he traveled with the group on two tours to Great Britain while in high school, and later on several tours across Jamaica, the United States, and Grand Cayman. He remained active in this position until 2012. In 1998 he enrolled in West Indies College—later Northern Caribbean University (NCU)—in Mandeville, Jamaica, as a double major in Music and Business Studies. He dropped the latter after his first year and concentrated fully on his musical studies as a piano performance major. In his third year, he changed his emphasis to music education and graduated in 2002 with a B.A. degree in Music Education. While at NCU, he served as a Music Department accompanist, choir director of the student choir, and as a senior, founder and director of Gloria, the mixed ensemble. His principal teachers included Mr. Daniel Rodriguez and Dr. Marilyn Anderson. He started studies toward a Master of Music degree in Music Education with a Choral Conducting emphasis at Westminster Choir College of Rider University in Princeton, New Jersey in 2002 on an academic scholarship from NCU. While at Westminster, he served as assistant conductor to the Westminster Jubilee Singers, and as a chorus member of Westminster Symphonic Choir and Westminster Singers, performing under the batons of Sir Neville Marriner, Charles Dutoit, Sir Nicholas McGhegan, and Sir Colin Davis. His principal teachers included Drs. Joseph Flummerfelt, Andrew Megill, and Sun Min Lee. 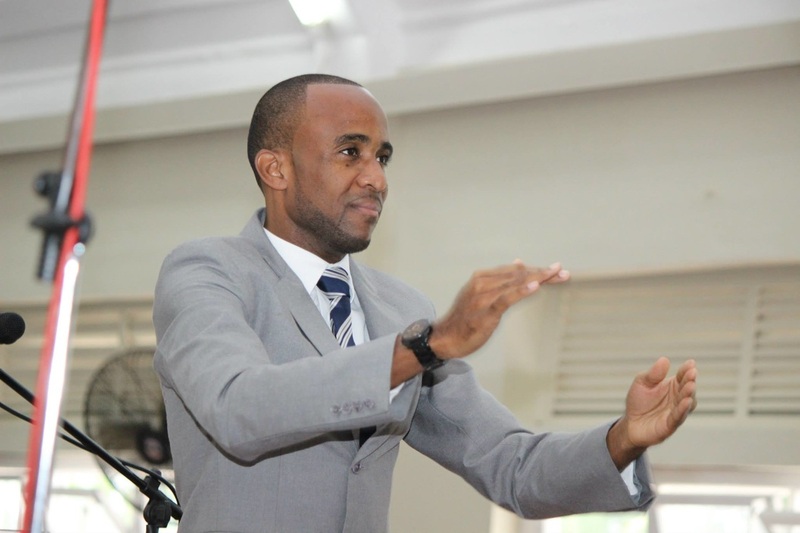 After graduating from Westminster Choir College in 2004 he returned to Northern Caribbean University and served as a faculty member in the music department where he taught several music courses and conducted the University Chorale and Chamber Ensemble. In 2009 he left NCU to read for his Doctor of Musical Arts degree in Choral Conducting at the University of Oklahoma in Norman, where he studied with Dr. Richard Zielinski. During his studies in Norman, he founded and directed the Jamaica Choral Scholars’ Festival in Jamaica, a two-week event dedicated to the study and performance of Caribbean choral music. 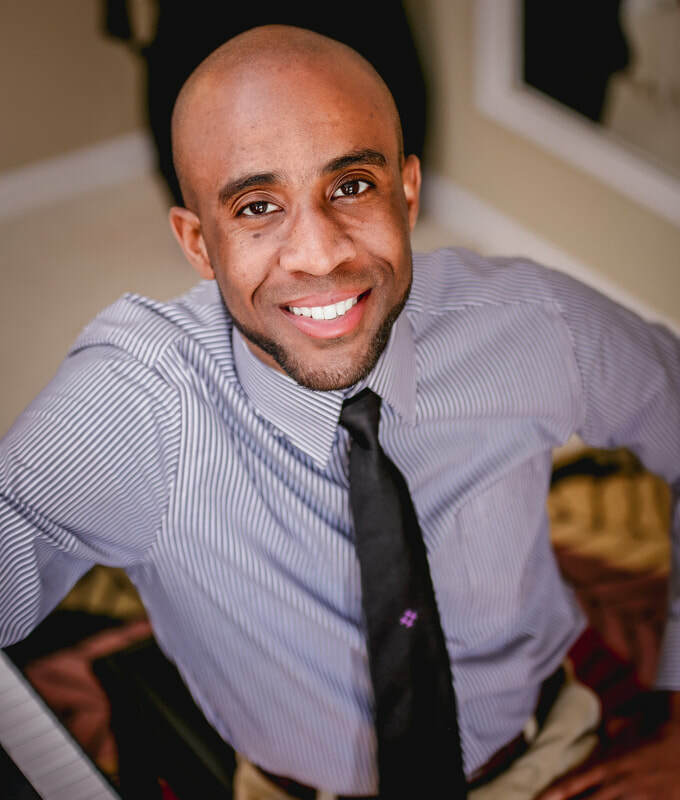 He graduated in 2012 and returned to NCU once again where he served as an Associate Professor of Music. In 2014 he accepted the position of Choir Director at Pine Forge Academy in Pine Forge, Pennsylvania, where he serves presently. Marshall has composed extensively in multiple genres since 1996. He has, however, championed composing and arranging Jamaican choral music since his studies at Westminster Choir College, where for his graduate recital, he found it challenging to find a substantial listing of this genre to include in his program. His orchestral works include Run-A-Boat Symphony (2010), Nyabinghi Symphony (2014), and Maroon Symphony (2016). He has also composed extended choral works, among which include Reggae Mass (2014) and Revivalist Zion Suite (2014). His strongest affinity in composition is toward the unaccompanied choral idiom, in which he has written most significantly. Marshall remains active as a composer, accompanist, producer, clinician, and performance coach. He has two siblings, Geoffrey Marshall, a hydrologist, and Sarah Marshall-Niles, a pediatric surgeon. He is married to the former Samara Reid, a dietician, and together they have three boys: Alexander, William, and Zachary. He resides in Douglassville, Pennsylvania. *O WORLD OF GOD, Religious hymn, mixed voices, soprano descant with organ. *OH FREEDOM, Spiritual; soprano and piano. *WE ARE ROLLING ON: Song Cycle of Jamaican revivalist hymns.